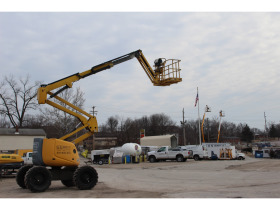 U.S. Rents-It Is Selling Scissor Lifts, Bobcat Skid Steer, Equipment, Party & Event Supplies & Much More! | Wears Auctioneering Inc.
U.S. Rents-It Is Selling Scissor Lifts, Bobcat Skid Steer, Equipment, Party and Event Supplies and Much More! Monday, March 25, 2019 Bidding Ends At 12:30PM With Staggered Endings And Extended Bidding On All Lots. U.S. Rents-It Is Moving All Of Their Operations To Their Jefferson City Location In Order To Better Serve Their Customers In Columbia, Jefferson City And All Surrounding Areas. This Is Your Opportunity To Bid On Some Nice Equipment, Wedding & Event Pieces & Many Other Items. The Items In This Auction Were Recently Rented And In Use. Please Note That All Items Will Need To Be Removed From The Location On The Day Of The Pick-Up. In Addition, Sales Tax Will Be Charged On All Non-Titled Items. Make Sure To Attend The Preview To See These Items In Person! All Items Will Need To Be Picked Up On March 26th. All Items Not Picked Up On March 26th Will Be Forfeited. Note: U.S. Rents-It Is Moving All Of Their Operations To Their Jefferson City Location In Order To Better Serve Their Customers In Columbia, Jefferson City And All Surrounding Areas. This Is Your Opportunity To Bid On Some Nice Equipment, Wedding & Event Pieces & Many Other Items.  The Items In This Auction Were Recently Rented And In Use. Please Note That All Items Will Need To Be Removed From The Location On The Day Of The Pick-Up. In Addition, Sales Tax Will Be Charged On All Non-Titled Items. 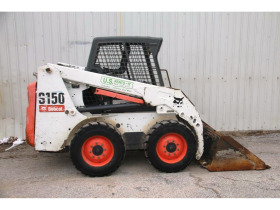 Haulotte HA46JRT Man Lift & Scissor Lifts• 2012 Bobcat S150 Skid Steer • Heavy Duty Forklift • Ditch Witch • Commercial Walk-Behind Tillers • Lawn Equipment • Generators • Floor Machines • Power & Hand Tools • Bounce Houses • Party & Event Decorations & Supplies • Much More Listed On Our Website! PAYMENT: All accounts must be settled at the conclusion of the auction pick-up. We accept Visa, MasterCard, Discover, cash, cashiers check, wired money or personal check. No out of state checks, please. There is a 3.5% convenience fee unless paid by wired money, personal check, cashiers check or cash. Payment must be made at Pick-up prior to loading items. Your credit card will be charged for your purchase(s), plus buyers premium(s), if payment has not been received by Tuesday, March 26th at 1:00PM (CST). Each transaction necessary to collect insufficient funds will have a $30 fee imposed. PAYMENT INSTRUCTIONS: Visa, MasterCard, Discover, wired money, cashiers check, personal check or cash. No out of state checks will be accepted. You will receive an invoice after the auction ends with confirmation of items won with the purchase total and buyers premium. Please print out and bring to the pick-up day. On day of the pick-up, a 3.5% convenience fee will be added for use of credit card. At the pick-up site, cashiers will be available for you to pay for your items. After paying for your item(s), you will be given a paid receipt then you may proceed to load your item(s). Your credit card will be charged for your purchase(s), plus buyers premium(s), if payment has not been received by Tuesday, March 26th at 1:00PM (CST). If your item(s) are available for shipping and you want them shipped, you must notify Atterberry Auction & Realty Co., LLC. within 24 hours of the auction ending. Your credit card on file will be charged for the winning item(s) plus the 10% buyer's fee and the 3.5% convenience fee. In addition, your card will be charged separately for the cost of shipping and the shipping materials as outlined in shipping instructions. AUCTION CLOSING: The bidding on this Auction will close on Monday, March 25th at 12:30PM (CST). PREVIEW DATE & TIME: Preview will be Friday, March 22nd from 11:00AM to 1:00PM at 1600 Old Hwy 63 South, Columbia, MO. 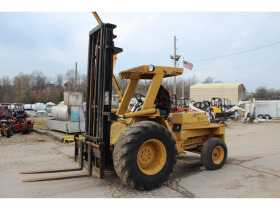 PICK-UP/LOAD OUT: Winning Bidders can pick their items up on Tuesday, March 26th from 11:00AM to 1:00PM at 1600 Old Hwy 63 South, Columbia, MO. Your credit card will be charged for your purchase(s), plus buyers premium(s), if payment has not been received by Tuesday, March 26th at 1:00PM. (CST). Any items left after the specified load out date will be considered forfeited. It will be the buyer's responsibility to dismantle and disconnect any and all equipment and furniture. Please bring your own packing materials and moving equipment.